We study an extension of the set cover problem, the connected set cover problem, the problem is to find a set cover of minimal size that satisfies some connectivity constraint. 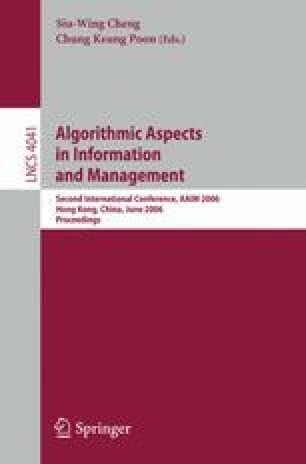 We first propose two algorithms that find optimal solutions for two cases, respectively, and then we propose one approximation algorithm for a special case that has the best possible performance ratio. At last we consider how to apply the obtained result to solve a wavelength assignment problem in all optical networks. This work was supported in part by the National Natural Science Foundation of China under Grant No. 70221001, 60373012 and 10531070.